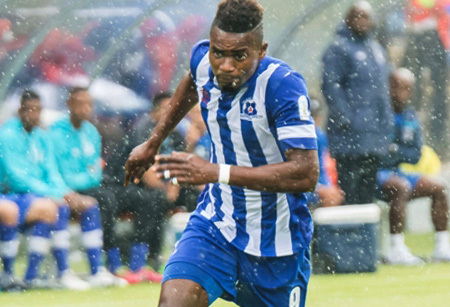 Maritzburg United take on relegation-threatened Moroka Swallows at the Dobsonville Stadium on Friday night, with the points crucial for both sides. The Team of Choice have been boosted by a 1-0 midweek win over Ajax Cape Town, the result leaving United in seventh position, one point above SuperSport (8th) and two points above Polokwane City (9th). Head coach Steve Komphela is expecting the Birds, who occupy last place on the Absa Premiership table, to come out fighting on Friday night (5pm kick off). “Every match is difficult, Swallows is no different. We’ll go there at least on the back of the comfort of the Ajax win. Our target is to stay in the top eight, that’s our primary objective. Maybe without stress, without too much pressure, we can get something,” said Komphela. Maritzburg have come up short before in their quest for a top eight finish, but Komphela hopes that past mistakes will have been learnt. “Maybe we should ask ourselves why this team kept failing to stay on top and in many instances battled around relegation zone many seasons ago. "This time we are staying strong, positive and staying motivated to make it. I am glad and believe that players are aware and capable of doing it,” said the coach.